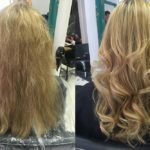 Dull, dry, damaged hair bought back to life by Sophie Baitup with a Colour Correction in our Exeter Hair Salon. 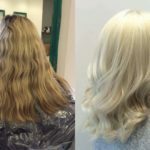 Sophie used to Goldwell and Olaplex to restore her clients hair. Let’s Talk About Highlights Exeter!